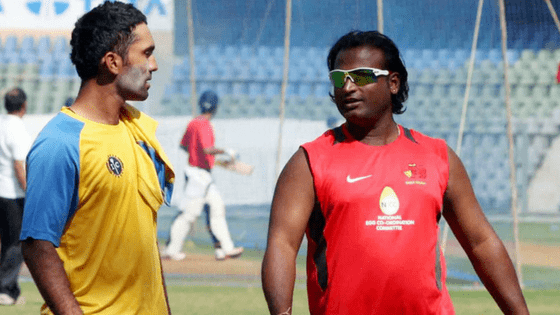 BCCI Has Appointed Ramesh Powar to Oversee India Women’s Camp At National Cricket Academy. The earlier India Women head coach Tushar Arothe resigned from the post and the week after BCCI has appointed Ramesh Powar to take the place. He will be the coach for the India women’s camp for National Cricket Academy, Starting from July 25th. In this case, the board has already invited to fill up the vacancy till the 20th of July. All the other support-staff regulars-fielding coach Biju George, Trainer Afzal Khan, Physiotherapist Tracy Fernandes, video analyst Ashutosh Dandige, masseuse Rashmi Pawar and team manager Trupati Bhattacharya will assist the former Indian player Ramesh Pawar. All the India regulars, barring women’s super league bound Smriti Mandhana and Harmanpreet Kaur will be featured in this 10 days camp. Powar couldn’t make out and lost out to the former Mumbai wicketkeeper and teammate Vinayak Samant in the race to become Mumbai head coach for the 2018-2019 domestic session. In this February, also quit has the spin coach of MCA’s cricket academy. Ahead of their impending tour of Sri Lanka In September, the new coach will link up with the squad at a preparatory camp. As per the given BCCI criteria for the application for the role of the National coach with having an experience of coaching a national team or a first-class state team. Powar seems to be the fit in this role for the full-time coach unless an exception is made. The board is likely to make an interview with the shortlisted candidate next week. Subscribe to our notification to get latest news and updates on cricket. You can like our Facebook Page to get real-time updates.